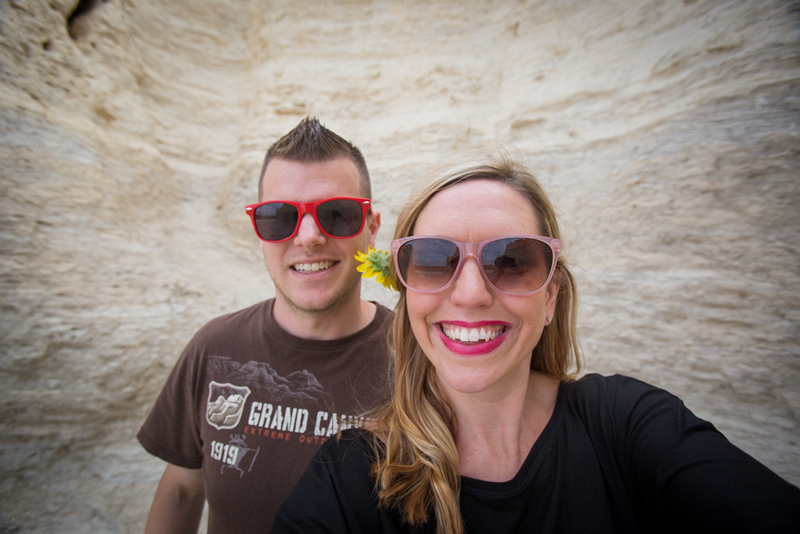 Back in July, Dave and I went to Colorado to celebrate my birthday and on the way home we stopped at Monument Rocks. I had never been here before and it was a fun place to trek around. 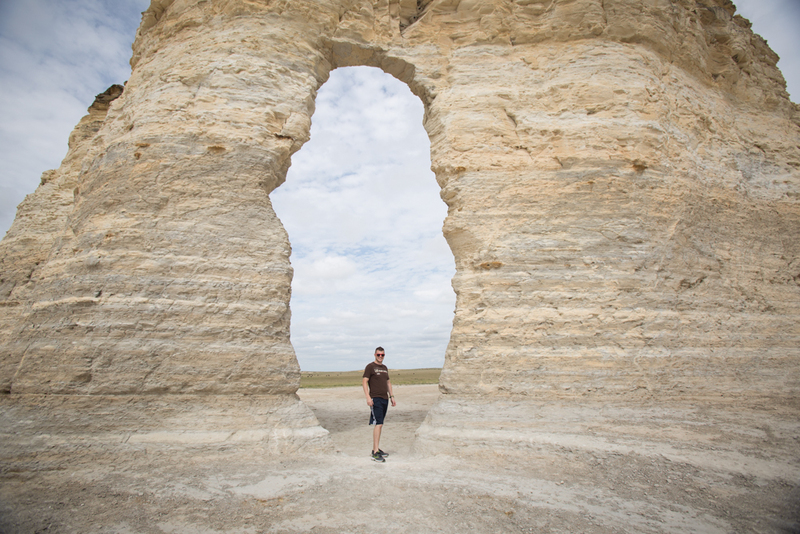 Monument Rocks is located south of I-70, near Oakley. 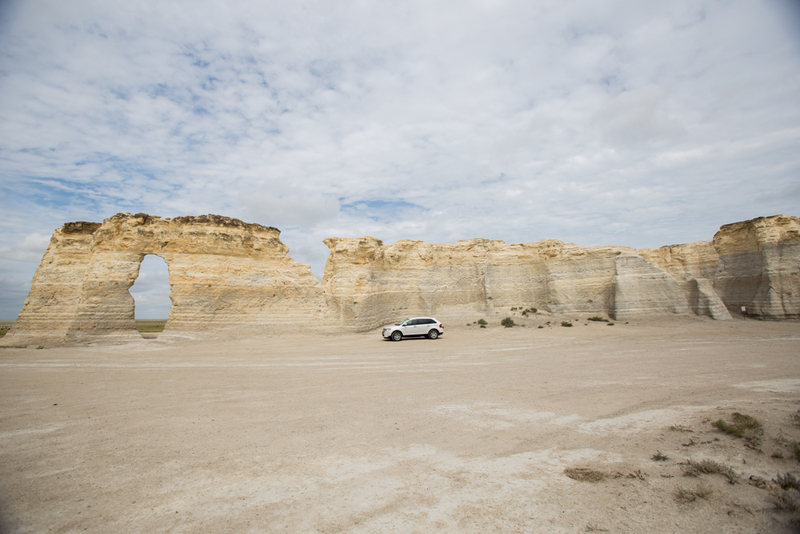 It is a bit off the beaten track but is a really pretty drive of wide open spaces. 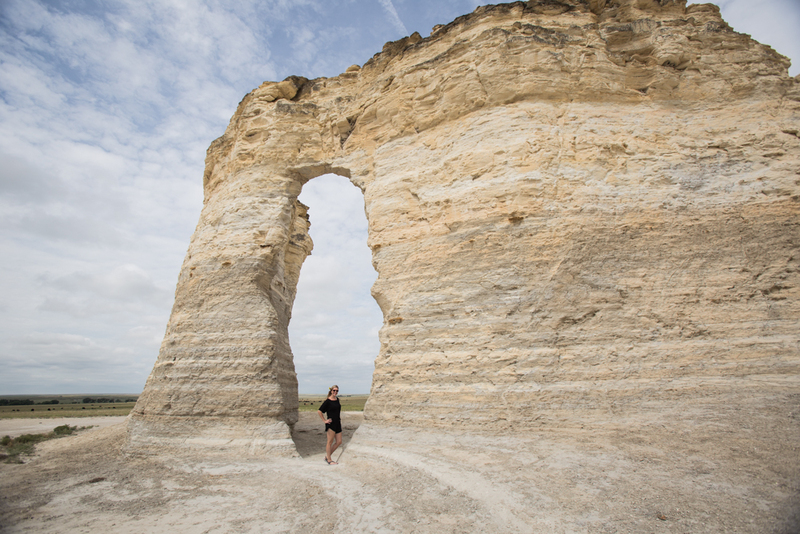 Monument Rocks are listed as one of the eight wonders of Kansas. 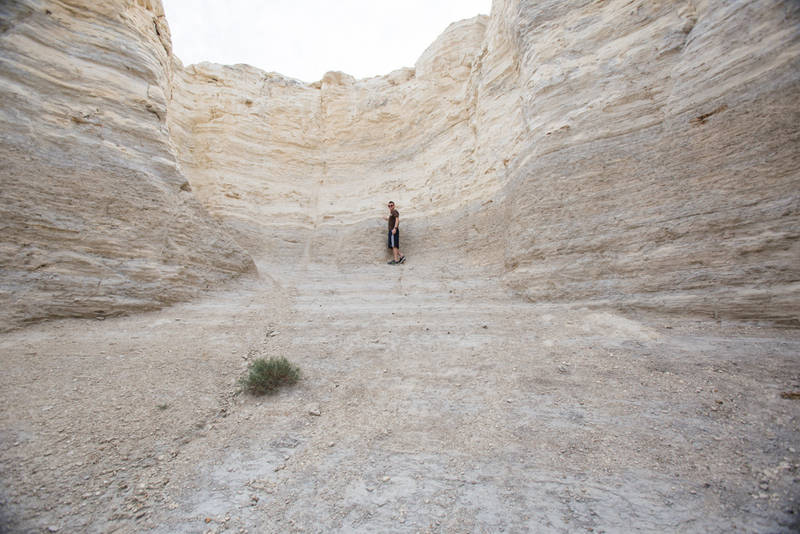 The rocks are layers of chalk and are 70 feet tall. 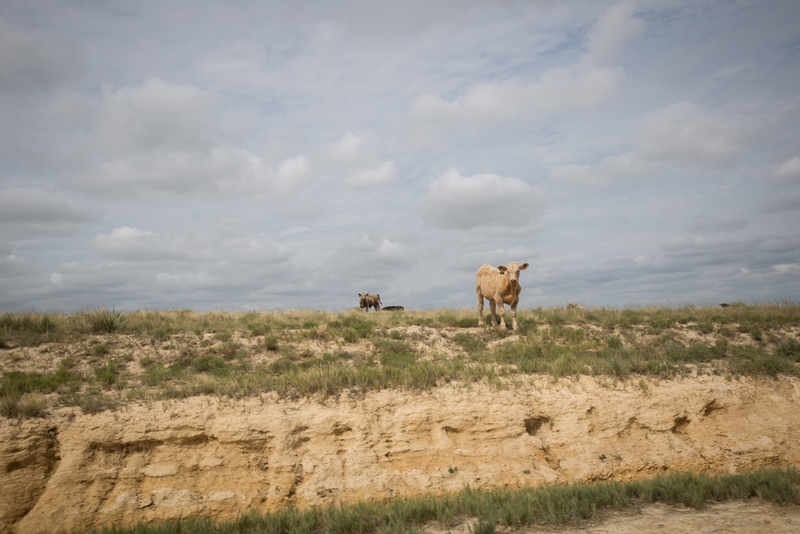 They are located near Oakley, Kansas on private property but the owners have opened their land to the public. Cattle also share the land so that was fun to see lots of cows roaming around. 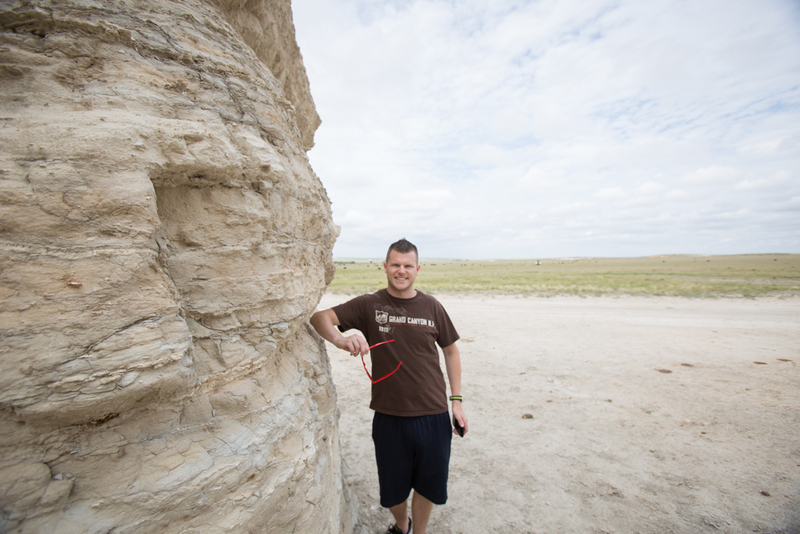 The rock formations themselves are pretty neat and it is kind of fun that this is out in the middle of nowhere. It makes for a fun little trip when driving to / or from Colorado. 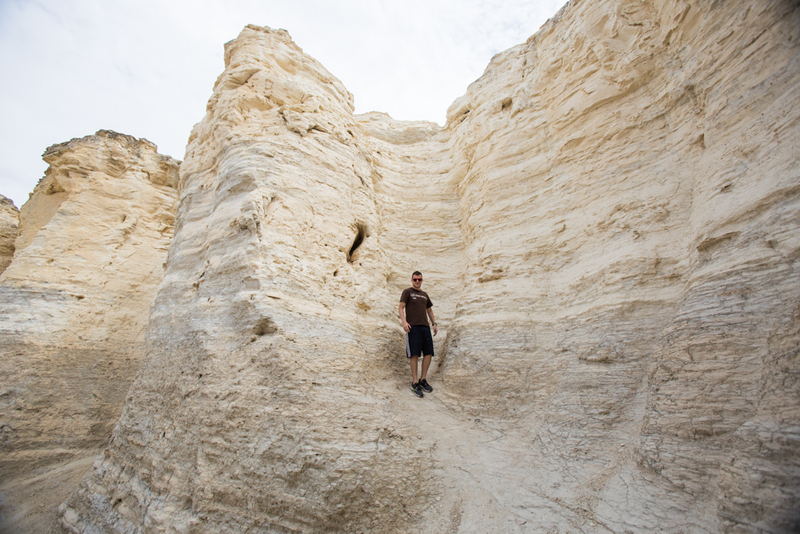 If you have been to Monument Rocks what did you think? 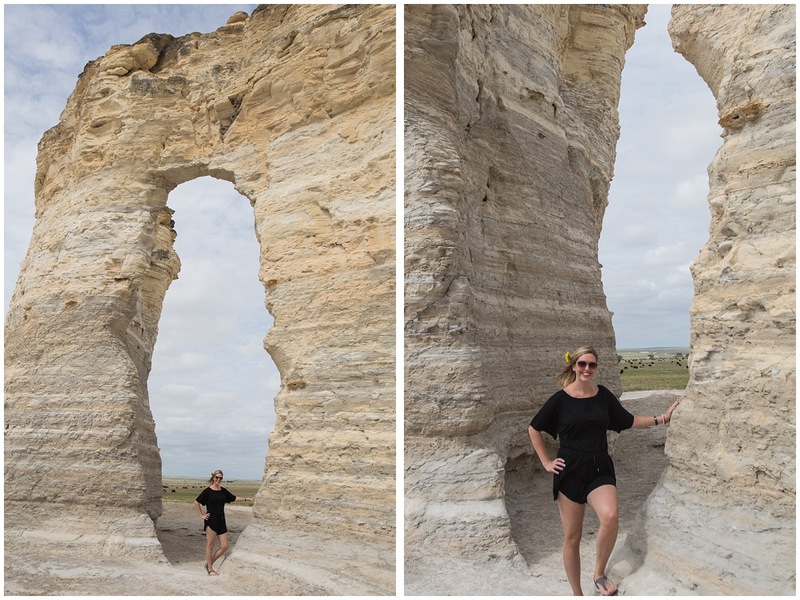 Do you take little side trips when you are traveling? 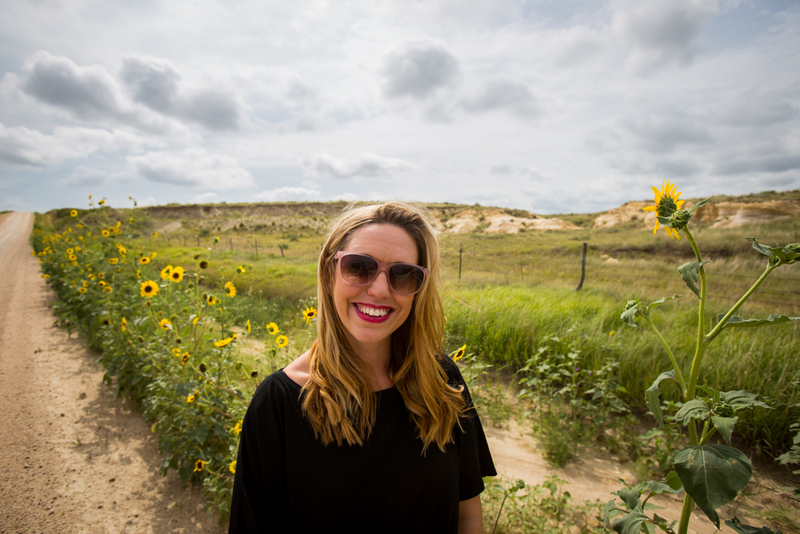 Kansas really have good places to visit and I really can't wait to visit one day, I cant tell you how much I am amazed and eager to visit that place now just by looking at your posts.